Before he became one of the unlikeliest stars in television history, Duck Dynasty’s Phil Robertson was always a man of strong convictions. Never afraid to offer unflinching honesty on a variety of topics, Robertson has emerged over the last decade to be one of the most recognized voices of conservative Christianity. 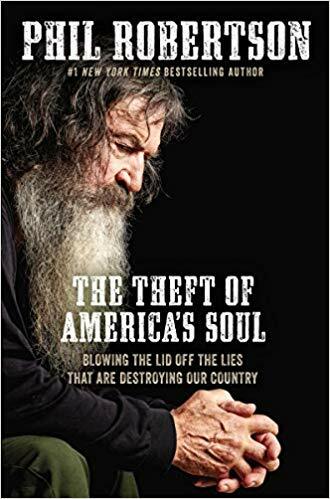 In his third book, The Theft of America’s Soul, Robertson exposes ten lies that he believes the Enemy has used to destroy America’s soul and counters with ten truths to put God back into the cultural conversation. I recently spoke with the Duck Dynasty patriarch about his latest release, what he sees as the key deception that is plaguing America, and ways to turn this nation back toward God. It has been nearly 53 years since the infamous Time Magazine cover begged the question, “Is God Dead?” I think we have seen over and over again that He is definitely not. Why do you think that question is still so provocative to this day? It’s pretty simple when you look at it spiritually speaking. We’re said to be dead in our sins, we humans. When we sin, we’re like Ephesians 2 - you were dead in your sins and transgressions, and then the way you used to live when you followed the ways of the world and the spirit of the kingdom of the air who works in those or are disobedient. All of us will live among them at one time. So when human beings conscience develops and they get old enough to know what right is and what wrong is they sin and they die, and they’re separated from God. So from their mouths, when they get down with the drugs and the alcohol, the immorality, the murdering, the lying, and the stealing, the evil one whispers a little lie in their ear, “Don’t worry about it. God’s dead. He’s not there. You don’t have to worry about Him.” So they listen to the lies of the evil one. It wasn’t God who died; they were the ones who died. You see what I’m saying? Yet we find ourselves today living in a nation where 90 percent of Americans say they believe in God. If that is true, why are we seeing the continued decay of a nation that was built on a belief in God? It’s pretty simple that somebody’s lying. In John 8, the Jews who had believed in Him said, “We believe you are who you say you are.” Well to those Jews, Jesus said to them, “If you really hold to my teaching, then you’ll know the truth and the truth will set you free.” And they said to him, “Set free? We’re not slaves to anybody.” He said you’re a slave to sin. And then they start arguing with Him. And He said, ‘No, you don’t believe in me. What you really want to do is kill me, because you belong to your father.’ And He explains a little later that their father He is referring to is the evil one. That’s why when I wrote this book, what I had in mind was all these people who say with their mouth, “I believe in God.” But I look at our culture; if 90 percent of America believed in God, you wouldn’t be seeing what you’re seeing now. You have broken your book down into 10 essential deceptions and schemes that the Enemy has used to hopefully destroy America’s soul. You expose each of these deceptions with a counter truth straight from the Bible. Why these 10? Were there more that could be included that you chose not to? There’s plenty more. I just want them to see the big picture, the ones that are fairly easy to spot: God is dead. Yeah, really? So we start there. You know it’s amazing, some people claim there’s no devil. But if you look at it, you know God is the one who always does the dying, but I never have actually heard anybody say the devil is dead, too. In fact, they have nothing to say about him. Well, I wonder why it is that God’s always the one dying, and Satan never dies? Could it be that the reason they don’t say he died is because he’s alive just like God is, but they don’t want to admit that. You see my point? He would never say, ‘By the way, I’m not real either.’ But if you look at any culture, the scary part is, my man, you can go back in history, all of these empires came up and they all collapsed. These earthly kingdoms all came up and they all rotted from within. We haven’t been here but 243 years, but look at the change already in our culture, and we are young. So, at the current pace, if America does not repent, when human beings do not bow to God, they will end up forcing you to bow down to them. And that’s the way history of mankind has gone, all the way back to the very beginning. If you read all the way through, it’s the exact same thing. 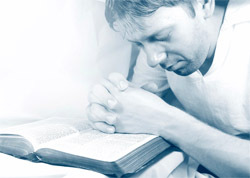 What’s amazing is if you just wrack your brain a minute and ask yourself, “When is the last time I heard anyone from any institution of higher learning, the news media, anybody in government, in Hollywood, when’s the last time you heard the word “sin?” I John 3:4 says, in fact, “Sin is lawlessness.” Look, I’m just some guy down here on the riverbank in Louisiana. I’m a C+ man. But it does mean that I’m smarter than half of these people. I feel good about that. I love America, but I’m thinking to myself I never thought I’d see some of this stuff going on. It’s sad to watch. I’m hoping America will repent, but most of the time, these empires find it very difficult to bow their need to God. Is there any one of these 10 lies/deceptions in your book that you believe is the cornerstone to all of them? It probably comes down to when Jesus said to those people who He said the evil one was their father. “Your father is the devil.” He identified him, that they had a relationship with him. 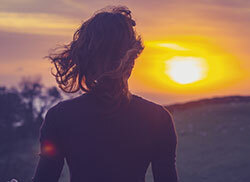 He said, “The truth will set you free.” Well, if you think about it, if you miss the truth that sets you free, first of all what is the truth, and secondly what does it set me free from? If you miss that, you’ve missed it all, because over and over if you’ll look, you read about in I Corinthians 15. “I want to remind you of the Gospel I preached to you which you receive and which you’d taken your stand. By this Gospel you’re saved if you hold firmly to the Word I’ve preached to you. Otherwise you’ve believed in vain. For what I received, I passed on to you as a first importance that Christ died for our sins, that He was buried, and that he was raised on the third day.” So the truth that sets you free is Jesus becoming flesh, dying on a cross, being buried, being raised from the dead, and He’s seated at the right hand of the Father, even taking away and mediating for you and removing any sin you’ll ever commit after removing all your past ones. On top of that, He’s guaranteed you’ll be raised from the dead. Well, you would be amazed at how many people if you ask them, what’s the truth that sets you free? They will not say what I just said there. They will not say, ‘Well it was Jesus coming down in flesh so that He could die.’ Think about it. Why would God choose to become a human, so you could get your hand on Him? God is spirit. He’s invisible. You say, ‘Jesus came down, you’re looking at the image of God there, walking around on two feet.’ Well, now the blood can be spilled. If He hadn’t have become flesh, how in the world could you get your hands on the One who made the cosmos? You’re not going to touch Him. So He chose to become flesh so that they could kill Him, and by His death we’re all saved. Man … listen … for mankind to have dreamed that up, I don’t think so. Recently, Publisher’s Weekly gave you a less than favorable review of The Theft of America’s Soul. You have stated that this review is exactly what you had hoped for. Why? Look at the One who never made a mistake, Jesus. Look at what happened to the apostles. They slaughtered them. They slaughtered Him. When people criticize, you’ve got to remember, “Blessed are you when people hate you, when they exclude you, insult you or reject your name as evil.” If you just think about it, you say there’s no way to live a godly life in Christ Jesus without controversy. I’m just looking at what they did to Him, and look at the hullabaloo that surrounded Jesus Christ while He was on the earth. It is a battle. It is spiritual warfare, and I think we all should just stand up as Christians. We should be more forceful as Christians. They tell us that we ought to shut up and all of this stuff. But somebody writing less than favorable of you, you’ve got to remember what Jesus said. “Whoa to you when all men speak well of you.” That’s the way they talked about the false prophets, remember that? After people have read The Theft of America’s Soul, as an author, what is your greatest hope for the book? My greatest hope is that people would make sure they understood what we’ve been talking about, the Gospel of Jesus, and that they would repent and confess Jesus as Lord and Master. Let someone baptize them in a pond, a creek or a pothole, and go on their way rejoicing. 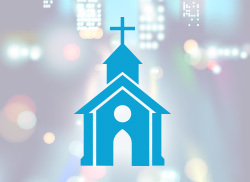 All I want is to try to get as many people as I can to join with me and be saved before God. If America turned on a big scale, and people put God first and they began to live by what He said, our country would be blessed! If not, they’re going to reap what they sow, and just as surely as all these empires rise and fall, we will collapse ourselves. I’m going to fear God and I’m going to love my neighbor until they put me in the ground.